Our Shirley Tree Surgeons are ready to undertake all types of tree care and tree maintenance. We are qualified arborists with experience in all manner of tree work in Shirley and Solihull. When you need a tree surgeon, call us for free advice and help. Our guys will be happy to help. We don't know how many trees there are in the West Midlands, but there are a lot! Some manage just fine for years without human intervention, but many of our trees are under attack from pollution and invasion by disease and insects. Due to our global lifestyle, it seems that even pests travel far and wide these days and tree disease is spread more easily due to the import of various species. Add to that the pollution caused by aircraft, traffic and our way of life, and we're putting a lot of stress on our beloved trees. That's why it's so important to look after them and have regular tree inspections to ensure they get the best chance of a long life. Our tree specialists will assess the health of your plants and advise any tree surgery that needs to be undertaken. 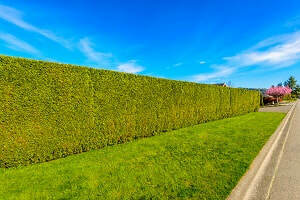 We can trim, cut, prune, pollard and do anything else that your trees require! After all, many species can grow very large and they have to fit into our lifestyles and our gardens, so why not live in peace and harmony so we're all happy? Our Shirley tree surgeons will ensure you have happy, healthy trees.